• Connection : LAN, Dial up support for all types of printers dot matrix and loser printer. • additional printers can be added. • Support for Reliance and tata USB data card for Internet access. • Reset to factory settings option available. Redundancy I replacement for desktop: no dependence on terminal server. Run local applications like SAP, Open Office and Java and Flash enabled Mozilla Firefox. Even includes media player for playing audio and even Video. Or call international free using Skype. Latitude: connect virtually to almost any type of server in the world using Any of the 10 protocol — ROI’, CA, VNC, VOl Client, XDI.ICP, SSH, Go Global, Tarantula, PNA, Xli, Terminal emulation, etc. Remote administration: of the thin client using integrated VNC server. High security yet flexible: Enable or disable 1155 ports for pen drives on Specific systems. Local printing like support: host printer support on USB, parallel and serial ports. Go WIF1: be free from cables. Go Wi-Fi with total security. (Optional). 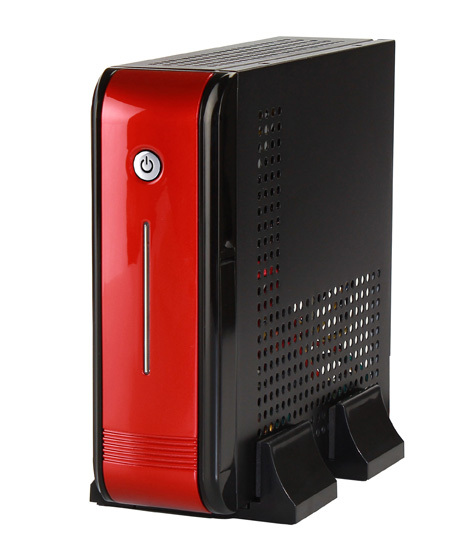 It has been more than one month since we have started using Thin Client System provided by M/s Seal Technologies. We are happy with the services provided by them and recommend this technology for people having multiple computers.